BALENCIAGA sweater, dress, and necklace. CHRISTOPHER KANE dress and ALIGHIERI bracelet. MOLLY GODDARD dress, MIDNIGHT 00 shoes, and ARA VARTANIAN earrings. 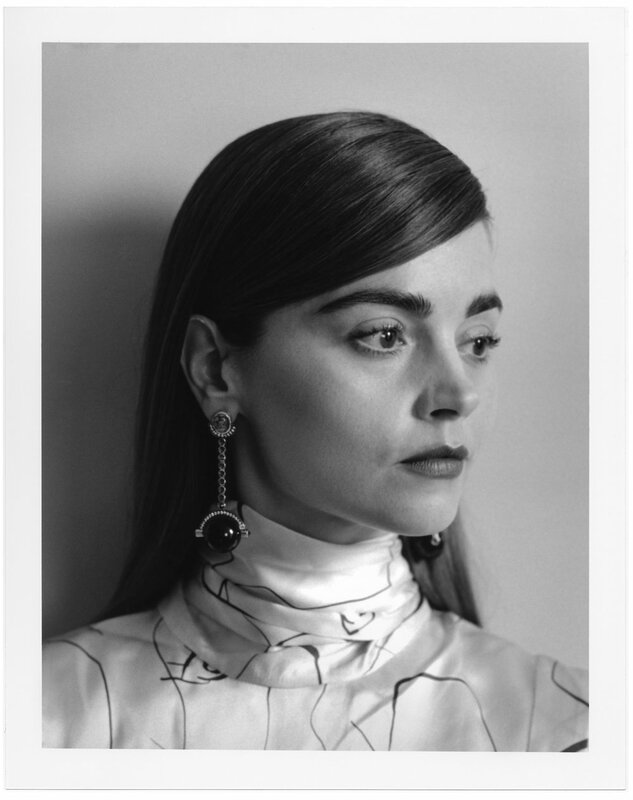 ROKSANDA shirt available at Matchesfashion.com and ARA VARTANIAN earrings. LOUIS VUITTON jacket, shirt, pants, and belt and ARA VARTANIAN ring. Jenna Coleman | We Are Not Interested in the Possibilities of Defeat. They Do Not Exist.